Areis:- Elderly people need to take care of their health. Property deals will materialize and bring fabulous gains. Invitation in a award function of your child would be the source of happiness. You would likely to see your dream coming true as he lives upto your expectations. Travel will promote romantic connection. Successful day for those in the creative fields as they receive long awaited fame and recognition. Take care of your action and words as authority figure will be less understanding if you do something deceitful. Today, you will forget all the hardships of your life with the love of your spouse. 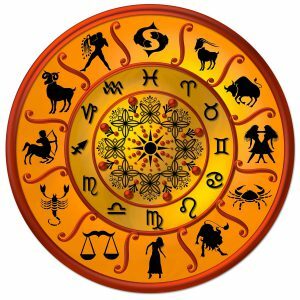 Taurus:- Some tensions due to legal matters likely. Not a good day to make investments and go in to the speculation. Travel program made well in advanced might get postponed due to the health problems in the family. You may find hard to express your feelings. Today your artistic and creative ability will attract lot of appreciation and bring you unexpected rewards. Travel will be beneficial but expensive. Looks like your spouse is disappointed with you today and you are going to know it. Gemini:- Avoid excessive alcohol and rash driving. Surplus money should be invested in real estate. Your witty nature will make you popular at social gatherings. Likely to share candyfloss and toffees with beloved on the cards. New proposals will be alluring but it will not be wise to take any hasty decisions. Be polite and charming to every one whosoever stands in your way-Only a selected few will know the secret behind your magic charms. Your spouse will do something really special for you today. Cencer :- Participating in sports and other outdoor activities will help you gather your lost energy. Real estate investment would be lucrative. You should do something exciting and different with people at home. Personal affairs will be under control. Interacting with eminent people will bring you good ideas and plans. You will use your hidden qualities to make the best of the day. This day is like the spring of your life; full of romance, just you and your better-half. Leo:- You must take complete rest to recharge your body otherwise the fatigue could cause pessimism in you. Today financial losses seem likely if you invest on the words of others. Children demand attention but bring happiness. Avoid a hasty step in love. Today is a day for high performance and high profile. Boundless creativity and enthusiasm leads you to another beneficial day. Your spouse might cause you some loss today. Virgo:- Meditation and yoga will prove to be beneficial for spiritual as well as physical gains. Watch your tendency to live for the day and to spend too much on entertainment. Give proper time and attention to family life. Over indulgence in office could cause problems at family front. Let your family members feel that you care for them. You will cherish the spice of exotica in your sweet love life today. It is also the good time to express yourself- and work on projects that are of creative nature. A day when changes might be made at the last minutes to your plans. Your marriage will see a wonderful phase during this day. 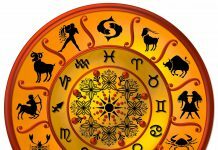 Libra:- You have to let go of the past if you wish to get out of the sentimental mood that grips you today. Do not invest in joint ventures and dubious financial schemes. Purchase of essential items for the kitchen keeps you busy in the evening. Power of love gives you a reason to love. Keep a vigil in the business to save yourself from cheating. Your sharp observation will help you stay ahead of others. Your spouse will appreciate you today praising all nice about you and falling for you again. Scorpio:- Change your diet to improve you health. You could find yourself in an exciting new situation-which will also bring you financial gains. Safeguard your interest when dealing with friends- business associates and relatives- as they might not be considerate to your needs. Today you will miss true love in your life. Don’t worry everything changes with time so will your romantic life. Your rivals at work will get the result of their bad deeds today. Efforts made to improve your looks and personality will turn out to your satisfaction. Your married life is no fun these days; talk to your partner and plan something really cool. Sagittarius:- You will be happy as people around you extend support. New sources of income will generate through people you know. Joyful time with family and friends Interference of a third person will create frictions between you and your beloved. Today with luck on your side you gain because you happen to be in the right place and at the right time. Rash driving and risk should not be taken while on the road. Your spouse might get too much engrossed with his/her work today, which will make you feel really upset. Capricon :- Today is also a good day to follow religious and spiritual interest. Although your financial position improves but the outflow of money will still create hindrance in executing your projects. Older relatives are likely to make unreasonable demands. Avoid being forceful in love affairs. You might feel a little less respected by your colleagues at work today. Boundless creativity and enthusiasm leads you to another beneficial day. You might experience a tough and bold side of your spouse today, which might make you feel uncomfortable. Aquarius:- You may get rid of your tension. All investments need to be made carefully and with proper consultation to avoid unnecessary losses At home your children will present you with a situation which has been blown out of proportion- Verify the facts before taking any action. You will be highly sensitive to the behavior of your beloved- Hold your temper and avoid doing anything irresponsible that could leave you cursing yourself for the rest of your life. If you take stress at work, it won’t cause harm to anyone else but you. Pending problems need to get sorted out soon and you know that you have to start somewhere- so think positively and start putting efforts today. Your emotional bond with your spouse might suffer today. Pisces:- Your frank and fearless views could hurt the vanity of your friend. A new financial deal will get finalized and fresh money rolls in. Arguments with children will bring mental pressure-Do not strain yourself beyond a point because certain issues are best when not touched. Love life will blossom really beautifully today. Friends will heap praises on your as you are able to complete a difficult assignment. Time to re-assess your strengths and your future plans. It’s going to be the most romantic day of your life with your spouse.